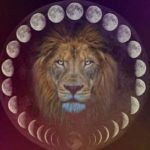 It’s the Full Moon in Aquarius! There is also a Yod also referred to as a “finger of God”, pointing to the Sun right now. This signifies a sudden burst of energy that can come to bring light, joy and fun back into life, illuminated by this full Moon. 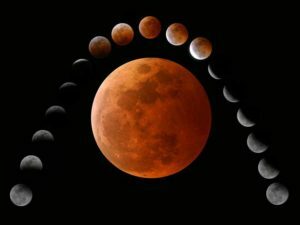 So as the full moon illuminates this alignment, what can we learn from it? Let’s start with the basics. The sun is light. It is an honest quality that comes as a given by those that are strongly governed by it. So with the unconventional Aquarius full moon “triggering” and coming to opposition or head to head with this yod, we want to take away the highest and most regal qualities offered by this alignment. With Mars involved as a conjunction, we want to utilise the initiative to do something new, take action in our lives and be the leaders. These two heavenly bodies (the sun and mars) are the movers & creators. They make things happen. So it’s time now to begin and embark on the Leo side of life that is all things children, warmth, heart centred and creative. So, add a little more colour to your life. Literally. That’s what the sun gives birth to and with the current stars aligning, it points to the need for more colour, spice, creativity. Leo is (like it’s opposite) original. So in the Aquarius full moon, take the easiest advise I have to offer…and be yourself. Stress less about the norm, opinions and anything that conforms that doesn’t feel intuitively you. Take the lead and light the fire. Start something new. As one great example of this, my Aquarius friend actually posted a brilliant piece last night! It was certainly something new! A “horoscope” Just for parents! Aries: Venus (bonding) is poised to join Ceres (sharing), but until that actually happens, your children will bicker over who gets to play with the empty tissue box. Gemini: Jupiter-Pluto squares as Uranus standstills in the heavens, asking you to do what is required (wash, hang, sort and fold three loads of laundry) and give yourself some time (hastily scroll through social media while on your ‘me-time’ toilet break – brought to you by ‘In the Night Garden’). Cancer: The focus is on the childlike elements in your life, as well as the home, thanks to Jupiter in Libra, your fourth house. You may want to buy a pregnancy test and start looking at a bigger rental property. Not all contraceptives were made equal. Leo: Mercury in the zone of cash flow and Pluto influencing your daily work means your particular way of working starts to pay off, but you may struggle to balance the budget. By which I mean using AirTasker and UberEATS to cover yourself this week is something you will regret in the long run. $7 for chips? Seriously! Virgo: With Ceres moving through cancer, you find yourself juggling your friends and errands. Pro tip: go grocery-shopping together (ignore the look of horror from the cashier at the boutique organic store as the combined forces of your offspring poke and prod all produce stacked below three feet). Libra: this week is a question of attitude. Who has more? You? or your toddler when they refuse to touch the loving assembled lunch of home-cooked whole-foods, with expensive supplements hidden throughout? You! Eat it yourself, you had way to much chocolate with your tepid coffee this morning anyway, need to fill the nutritional abyss that is your personal food pyramid. Scorpio: the great lesson of Saturn Sagittarius is that you have to work hard to make the financial reward real. And, apparently, running on three hours of sleep over a 48-hour period isn’t hard work and won’t contribute to your superannuation account, so you better start looking at whether or not your extended family can move in and help with childcare. Sagittarius: Your ninth house is all about adventurers and explorers this week, so it might be time to bite the bullet and buy one of those kiddy-leashes. Or perhaps a tasteful back-pack with a leash. Honestly, whatever it takes at this point. Capricorn: Uranus is standing still in your zone of property and renovations. So hide all markers, crayons and pens until further notice, lest the estate agent spring a surprise inspection. Aquarius: This week is about adapting and adjusting. (Right, as if you haven’t been doing that since your first was born!) Uranus is in your house of thoughts and ideas, so perhaps following through on one of your 20+ Pinterest projects for the house, or even the kids, would be good. Or movie day, whatever works. Pisces: With Mercury retrograde in Virgo there is a lot to be said for getting rid of dead wood. Or the bags upon bags upon boxes of old baby clothes and appliances. And the newborn book, face it, that ship has sailed. As for Chinese Astrology in August…It’s the Month of the Monkey now. In the year of the Rooster, that’s the two Metal animals present. Given the Monkey is Yang Earth this month, the metal element is even stronger, with that also supported by the Yin fire element of the year pillar. Metal element is about letting go (grieving), breathing and opening up the chest. There may be a lot to let go of this month so the key will be to keep moving, physically and mentally, so as not to get stuck or “harden” as metal can so easily do. This month, the metal has support from the fire and earth, which makes it strong. I am blown away by the insight you give me!! Constantly! Awe inspiring! You have a wonderful gift! Water element: For Water people, this brings a great strength in resources, support and help. It’s a great time to push for things you want now as you will have the backing to get what you want, as well as the energy. It’s important to keep moving and channel all that energy or you will become stagnant. This is where emotions overflow and bubble over if left to boil over without any release. Wood element: This month is all about your power and discipline. If you don’t take the lead and control now by following your intuition, you will face other that seek to control. Power struggle will only take place if you are out of balance and tune with yourself. This is the time to approach any injustice and seek to balance the scales with authorities in your life. Fire element: You have a great potential to make money this month, but also to burn the candle at both ends. With earth and metal present, you will find this month to be highly productive and creative, but you will need to balance and restore your energy reserves with lots of down time, good nutrition and rest. Earth element: August is a challenge for you. You will have a full calendar and need to caution against feeling like it’s all too much. Good nutrition is key to caring for your energy and gut health this month, as the metal element can deplete your inner resources (minerals). It may be time to consider where you are getting all of your essential vitamins and minerals from food and lifestyle wise. Metal element: August will prove to be incredibly interactive for you as your own element always represents others like you and “like energy”. So it’s certainly a time to connect with likeminded and find your tribe and strength. If you already have a great strength to your self element (derived from your day f birth) look closely at lung and skin health this month, as the metal element is very strong and may cause problems where there are any imbalances. As for Shaka’s awesome post for parents…I will use this as fuel to apply such alignments in a different light to each of the signs. 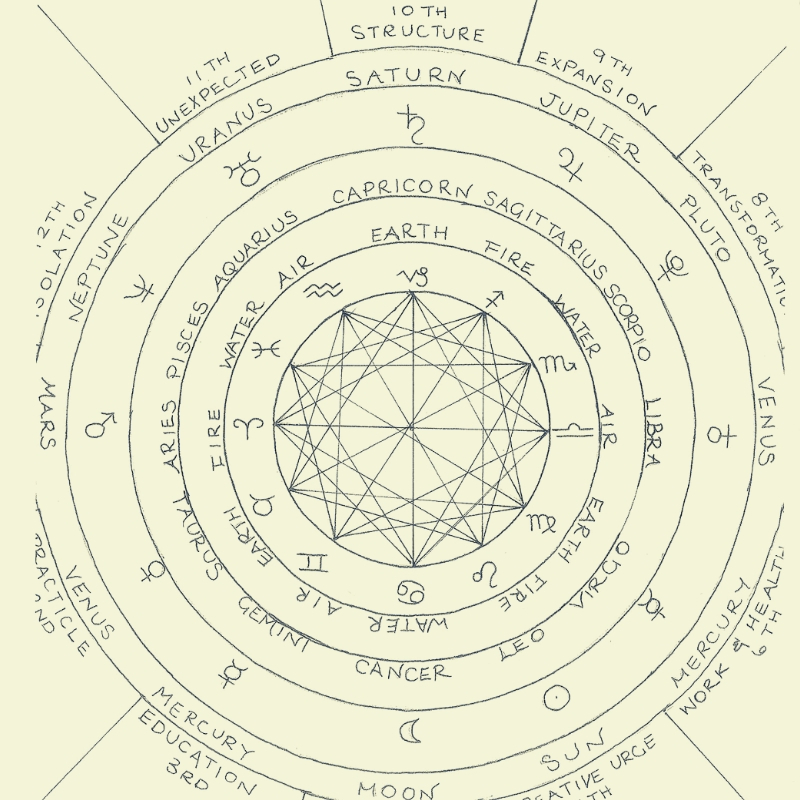 This is not my usual style of writing but I used to love sharing Astrology in this way. I personally use the discussion of houses more for the Ascendant (rising sign), but here goes…for those who know theirs. Aries: Venus (bonding) moves through your fourth house, bringing a loving influence to your home and a strong focus on family, parents and or parenting. This may even bring a family reunion about or help bring you closer to family now. Taurus: We have Uranus going retrograde this week, a planet which is all about freedom, energetically held back. Your subconscious (12th house) may be fixated, giving you a feeling of itchy feet. Maybe an unexpected visit from the past is on the cards. Gemini: Jupiter-Pluto squares as Uranus standstills in the heavens, asking you to make significant changes required to move things forward, create growth and cut away the overgrowth…this can mean a mental detox / holiday is due. Find somewhere new to take a walk in nature or adventure to on the weekend. Cancer: The focus is on the childlike elements in your life, as well as the home, thanks to Jupiter in Libra, your fourth house. It may be time to explore all options and think big (outside the box) when it comes to your plans around where you want to live or how you want to “homemake”. 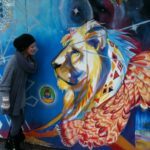 Leo: With Venus in your private / spiritual life zone, you will feel drawn inward to balance out the heart you pour outward. With Saturn in your 5th house, governing all things creative including your children, you finally cross your t’s and dot your i’s on a few projects that will bring order and structure to your life so that the fun stuff can come more effortlessly later. It’s about the long term gain, rather than any short term pain. Libra: Your ruler is passing through your 10th house of career and long term goals. It’s time to work your magic to gain recognition and reach the harmony in certain areas you know will bring greater success. Mercury is in your spiritual, hidden and subconscious aspect of life, this means certain things might be brought to your awareness and attention for the first time now. Maybe it’s a great time to give voice to your spiritual self. Scorpio: the great lesson of Saturn Sagittarius is that you have to work hard to make the financial reward real. By the end of this transit, you will come out much wiser and well equipped to manage your future well. This is a wonderful blessing to Scorpios who can struggle with this aspect of life, finding boundaries and resources a challenging life lesson to manage and master. When they do however, the can create great power with it! Sagittarius: Your ninth house is supercharged right now with the Sun conjunct Mars forming the point of a Yod. This gives you incredible energy to go that distance you constantly day dream of. It may be time to book that long distance holiday or enrol in that course you have been yearning to for some time. Capricorn: Uranus is standing still in your zone of home and family. Keep planning those big changes but hold off until Uranus moves forward. This year is time to sae up for that. It’s time to keep focusing on building your resources. With Pluto in your sign, this is a prominent theme in your life for quite some time still yet to come. Aquarius: This week is the Full Moon in your sign. It is time to let your hair down. Take a bath and recharge…however you wish to do so. With Uranus retrograde in your third house, you may be a little foggy with the usual overflow of ideas running low. Time to embrace the quiet mind and chill for a while. The rest of this year is all about mastering the art of slowing down for you. Tough ask for any Aquarian! But a worthy balancing act for maintaining energy! Pisces: With Mercury retrograde in Virgo it may be time to enjoy that solitude you so dearly love. Take time to communicate artfully with loved ones and attend to relationships as well but sometimes it’s better to have some alone time than having miscommunications. Now is a great time to study and spend some time studying your art os spirituality, psychology, astrology, tarot and the realm that is governed by your sign. That may mean different things to people with different values, but whatever it is, it is al about the higher vibrations and spirituality.